A Filehosting script that allows visitors to upload images like any other image host plus mp3 audio. It uses a nice multiple upload component that supports drag n drop functionality. Fixed some path and some coding errors. Added new html5 upload system for those that don't like flash. In mysql a column added for mime type with better mime upload detection. You need to be running PHP5+ with MySQL, SQLite and FileInfo Extension on an Apache web server. 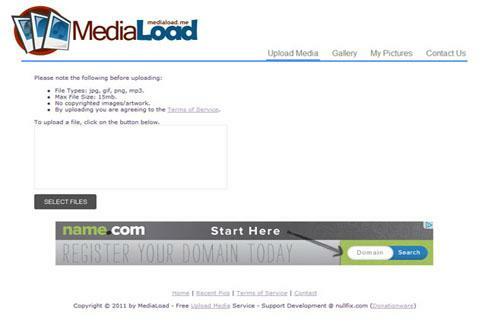 To install Mediaload you only need to edit a config file create the mysql database and upload the files to your server.